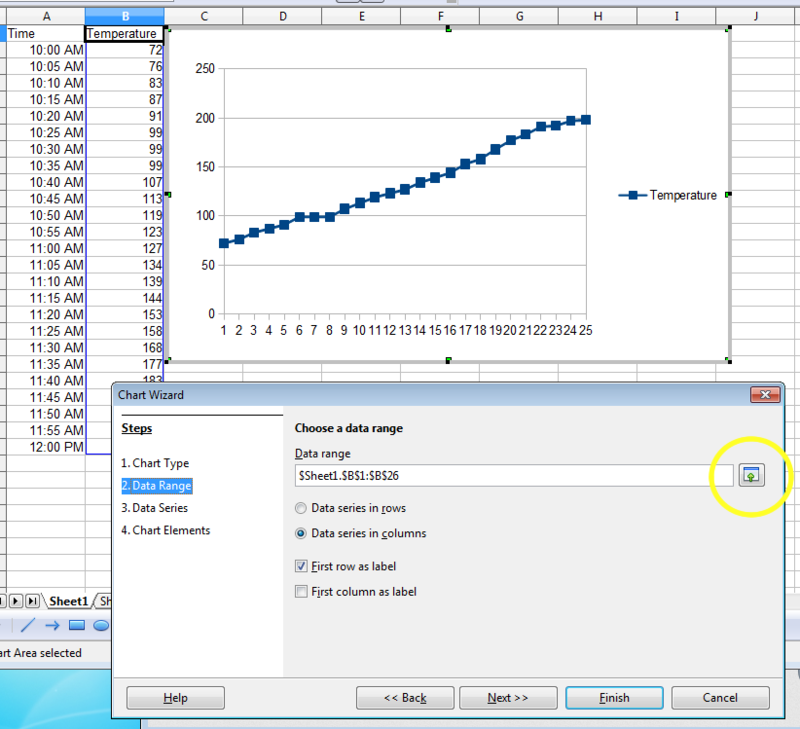 Given some temperature data like in the image below, the following steps show how to make a plot of the data. In our chart, "Time" will be on the x-axis and "Temperature" will be on the y-axis. 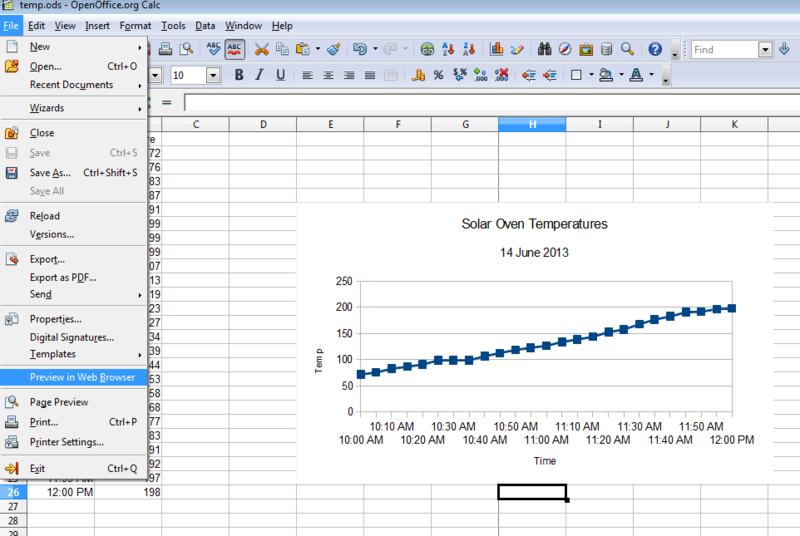 So the first step is to highlight the data that goes on the y-axis. Click on the chart icon in the top menu bar to start your chart. 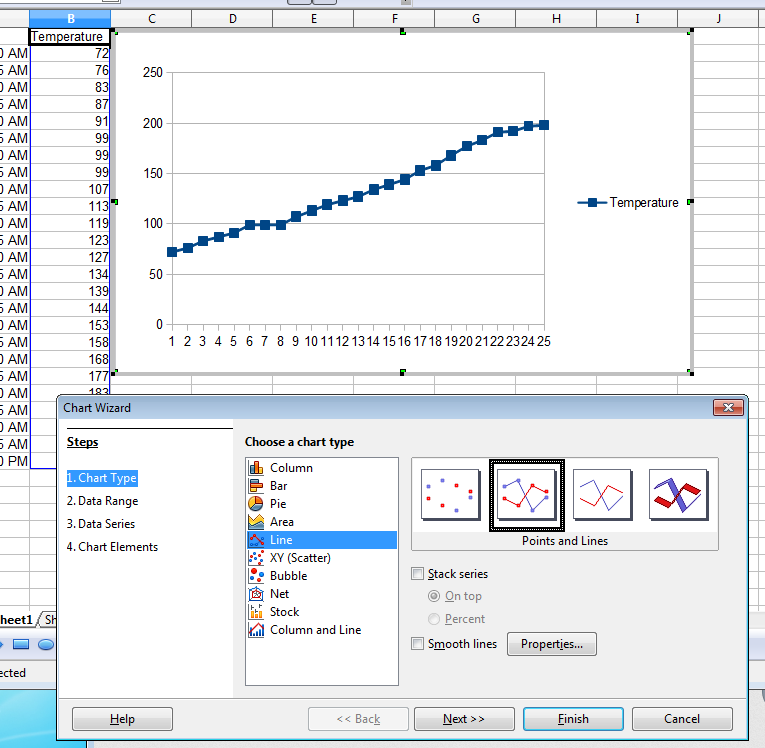 In the Chart Wizard window, change the chart type of Line and have it plot points and lines. Then click Next. 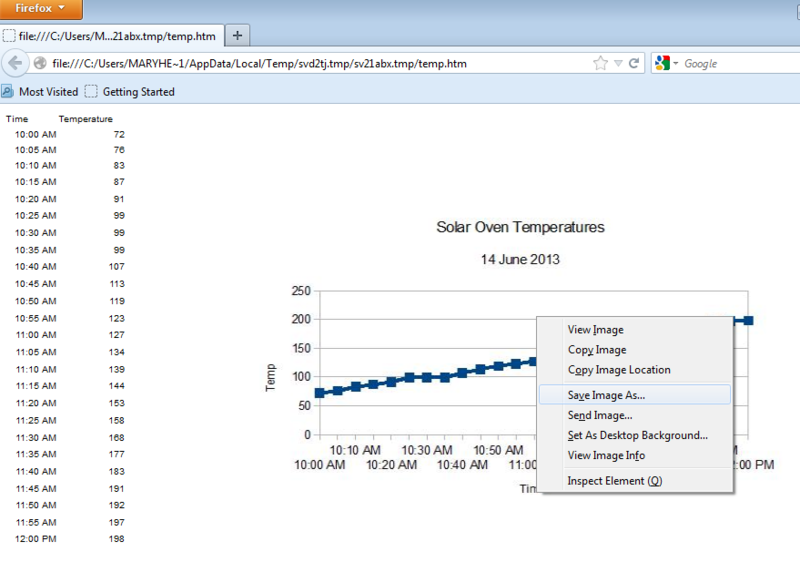 In the next window, click on the button to let you select a data range and then highlight all the temperature data. Then click Next. 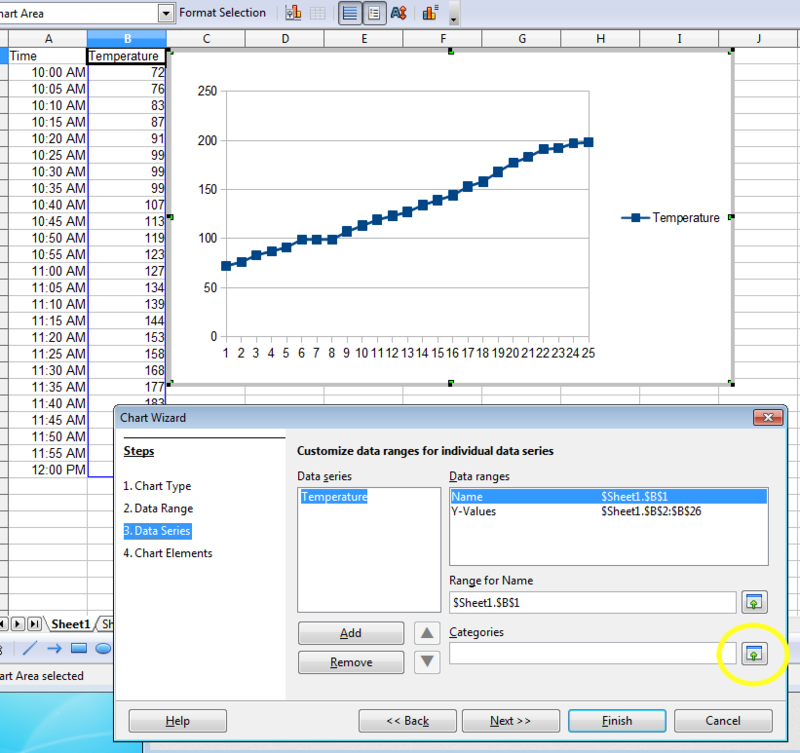 In the Data Series step, click on the selection box for Categories. 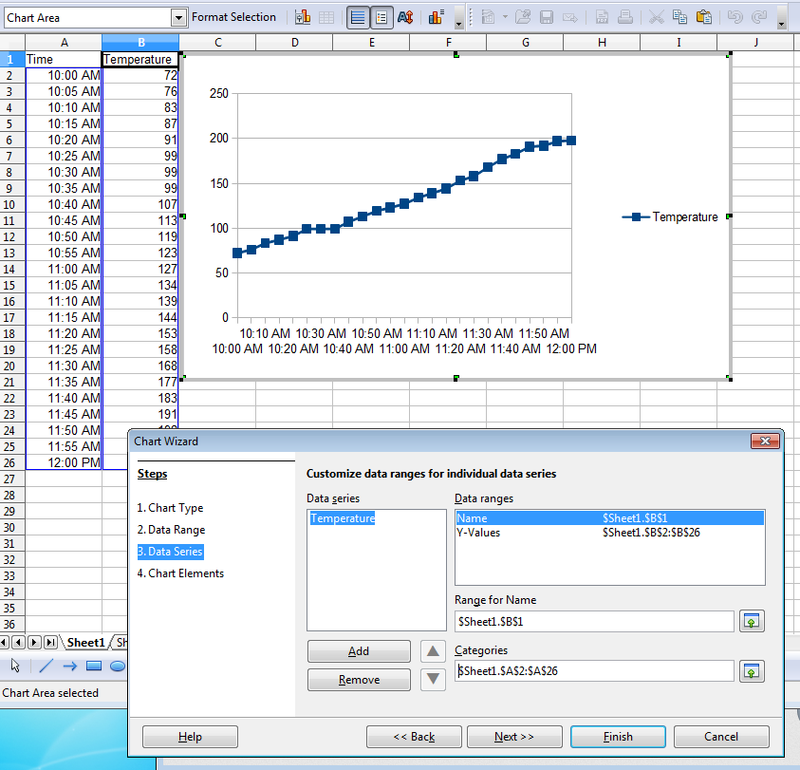 The window will change to let you select the range for the data series. Select all the time data. 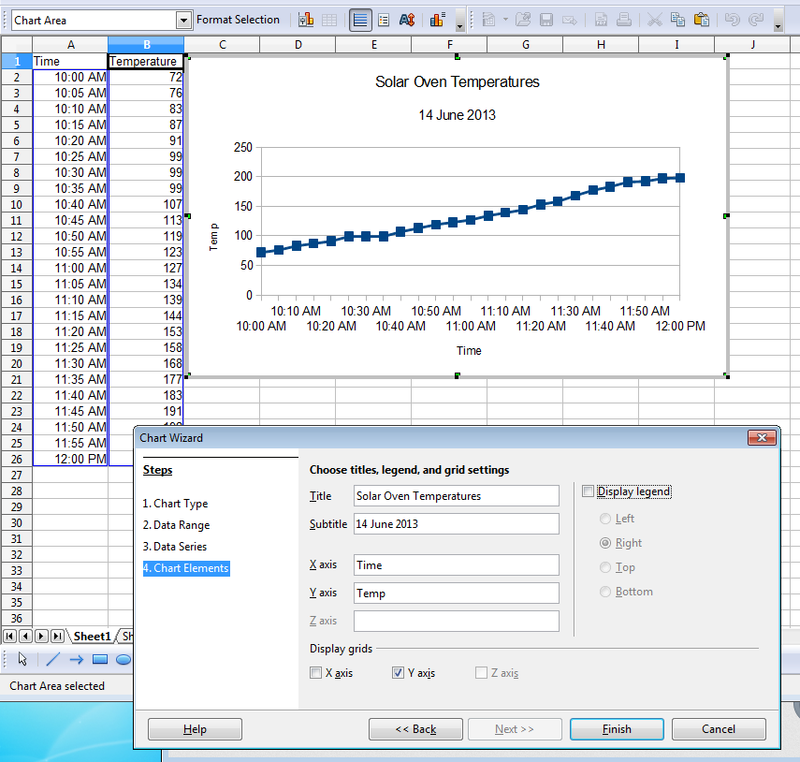 The x-axis in your chart should now be using the time data for the labels. Click Next. 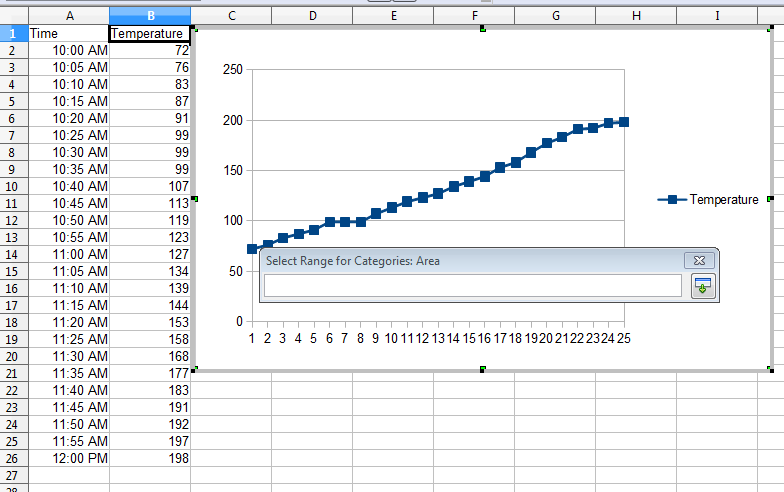 Give your chart a title and subtitle and label your axes. In this example, the legend was also turned off. And click Finish. 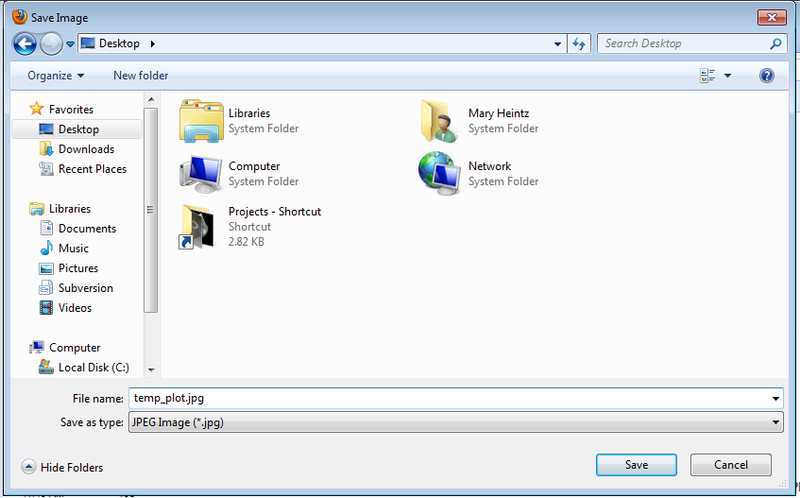 Choose your Desktop as the location to save to and give your plot a name.